One helpful feature of brake pads is the wear indicator. These little steel tabs are designed to hit the rotors when the brake pads are already too thin; hence, creating a squealing noise. If you fail to replace these worn out pads, not only will it cause ineffective braking, it can also lead to the damage of the rotor’s surface. After sitting overnight, you can expect moisture from rain, dew, or condensation to collect on the surface of the rotor, which could transform into a thin layer of rust. 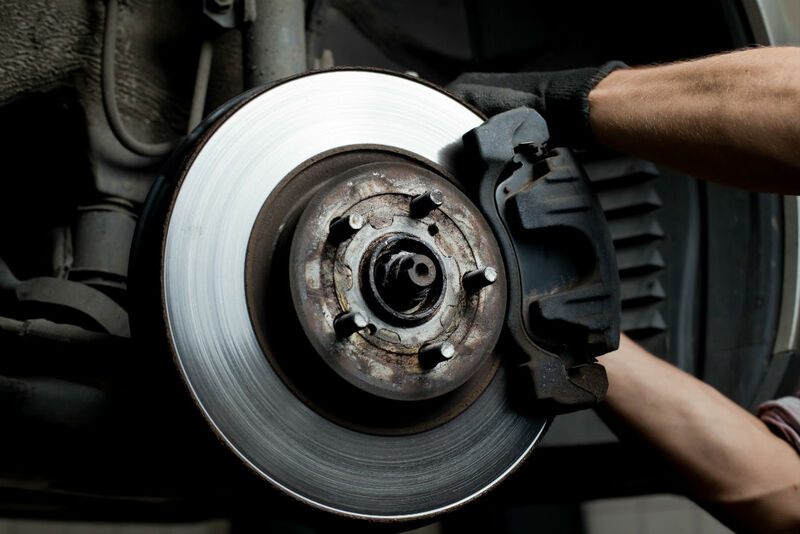 Once the rotor turns, the rust will then get into the leading edge of the brake pad and produce a squeaking sound. You can prevent this from happening by making sure that your car is in a garage or any climate-controlled environment. Aside from pad stays to keep them in place, the brake pads also have anti-rattle clips to prevent them from rattling or vibrating whenever the brakes are applied. If these clips are worn out or broken, the vibrations from the brake pads will cause squealing. The only way to stop the noise is to replace the anti-rattle clips. When the brake stays partially applied because the calipers are stuck, the constant contact between the brake pads and rotors will produce too much friction and heat. This will cause the pads to harden and crystallize, which is also known as glazing. Glazed braking components such as the rotors and pads will produce a squeaking sound when they come in contact with each other, which also diminishes braking power. It’s best to replace the brake pads and resurface the rotor when this happens. Although most vehicles today use disc brakes on all four wheels, there are still some models that use drum brakes on the rear wheels. The problem with drum brakes is that contact points could lose lubrication. Once this happens, the metal will begin to accumulate rust and the brake shoes will scrape against the backing plate, producing the squeaking noise. How to avoid this? Easy. Just make sure to maintain proper lubrication on all brake pad and shoe contact points.